This post has already been read 2677 times! KEARNEY – Ivy Prater had a vision for her college career when she enrolled at the University of Nebraska at Kearney four years ago. 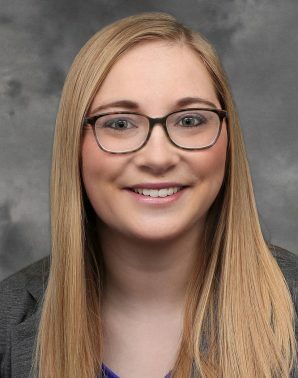 The Elgin native developed into a true leader at UNK, honing skills she’ll use during the next chapter of her life in Washington, D.C.
Ivy Prater, who graduated from UNK on May 4, is moving to Washington, D.C., in July to work full time for the National Rural Electric Cooperative Association. The week before commencement, she represented sororities from across the country as a student lobbyist for the Fraternal Government Relations Coalition. Prater, who graduated May 4 with a degree in organizational and relational communication, minor in marketing and management and 3.914 grade-point average, left her mark in many areas. She was student body vice president, president of the Alpha Phi sorority and vice president of the Lambda Pi Eta honor society. Prater was also a member of the Phi Eta Sigma and Mortar Board national honor societies, Gold Torch Society and Order of Omega Greek honor society, and served as a resident assistant and Student Diplomat. 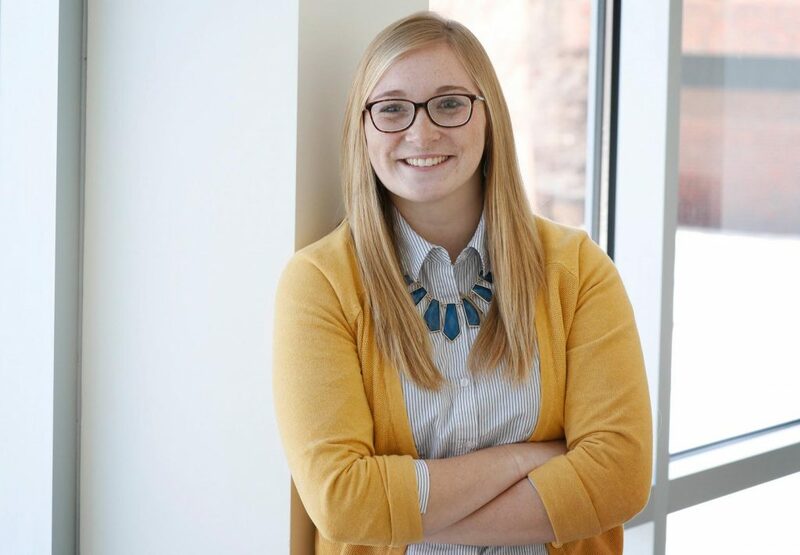 The 22-year-old’s commitment to academics and involvement within the university and community earned her a slew of honors over the past month – UNK Greek Woman of the Year, UNK Alumni Association Outstanding Senior, Mary Jane and William R. Nester Student Leadership Award and Outstanding Communication Senior. Quite the impact for someone who graduated with a class of 12 students at Elgin Public Schools. Prater said one of the best lessons she learned at UNK is to not be afraid of failure. Take chances and accept the results, whether they’re good or bad. “It’s OK to fail, because that’s when you’re going to learn from your mistakes,” she said. She took her own advice two years ago, when the girl from rural Nebraska accepted an internship that took her to the nation’s capital. Prater spent two summers in the Washington, D.C., area while interning with the National Rural Electric Cooperative Association, an organization that represents more than 900 consumer-owned, not-for-profit electric cooperatives, public power districts and public utility districts across the U.S. In 2016, she worked on a nonpartisan campaign that encouraged people to be politically active. The UNK alumnae focused on youth outreach and engaging young voters through social media. Last year, she was part of a lobbying team that attended hearings on Capitol Hill. Prater has a passion for advocacy and believes everyone’s voice should be heard. She made that clear back in Nebraska, where Prater and other members of the UNK Student Government loaded onto a bus for the two-hour trip to Lincoln for “I Love NU Advocacy Day,” when students, faculty, staff and other supporters met with state senators during discussions about the university system’s budget. 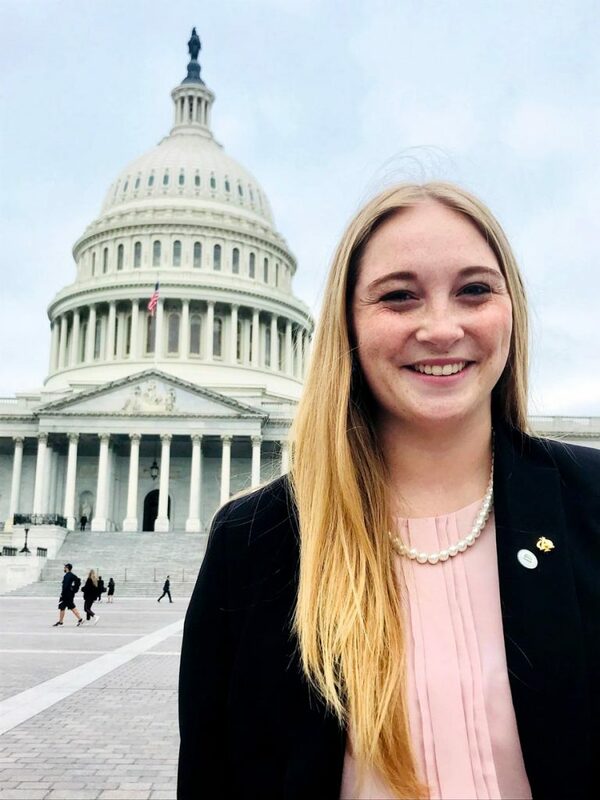 The week before commencement, Prater represented sororities and fraternities from across the country as a student lobbyist for the Fraternal Government Relations Coalition. She and about 100 other participants advocated on behalf of Greek life and its impact on college students by meeting with lawmakers in Washington, D.C., to discuss issues such as hazing and Harvard University’s decision to blacklist members of single-gender clubs and organizations. Prater, one of four participants sponsored by Alpha Phi International, considered it an honor to speak for the approximately 800,000 fraternity and sorority members on college campuses. “Without my experience here at UNK in Greek life, I wouldn’t have developed into the leader I am today,” she said. Sororities and fraternities can get a bad rap in the media, she said, and those negative stereotypes almost stopped her from joining one. In reality, Prater said, Greek organizations, especially those at UNK, provide a support system for members and do a lot to give back to the campus and community. “I can’t see my college experience any other way,” she said of her involvement with Alpha Phi. Prater plans to make a career out of fighting for the things she cares about. She’s moving to Washington, D.C., in July to work full time for the National Rural Electric Cooperative Association and envisions a future in government relations or lobbying. All of that is possible, she said, thanks to the support and encouragement she received from professors, advisers and the rest of the UNK community. “There’s nothing like it,” Prater said.